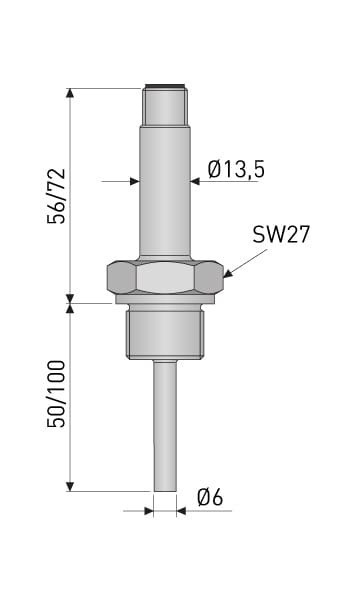 Categories: Chemical and Petrochemical, Compact sensors, Energy, Industry, Material, Measuring element, Measuring range, OEM, Process connection, Product group, Pulp & Paper, RTD, Screw-in, Shape of thermowell, Steel, Straight, Temperature Sensors, Thermowell, Up to +300°C, Water & Wastewater, Welded. Tag: Kompaktgivare. -50 °C to +200 °C. Especially suited for industrial applications with limited space. The sensor is available with a built-in transmitter. INOR Process AB was founded in 1939 and is a global company specializing in industrial temperature measurement with its own production and R&D.